This past year saw its fair share of amazing films made, from some of the big blockbuster hits of all time to smaller indie projects. The Oscars race is a difficult thing as accolades do not singularly determine a film’s worth, and many great films have gone, and will go, unrecognized. 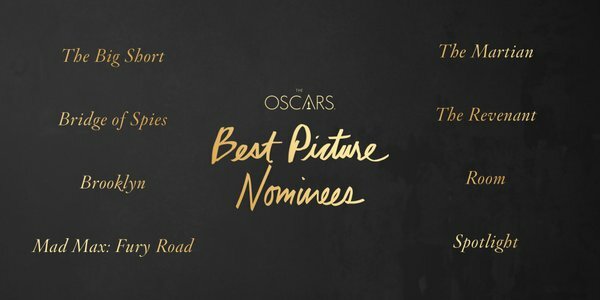 All of the films in the Best Picture category deserve their spot there, and yet there are many more films that could easily have been one of the eight nominees. Leading the nominations is The Revenant with 12 nominations followed by Mad Max:Fury Road which received ten nominations. Watch the Oscar race conclude on Sunday, February 28 live on ABC.